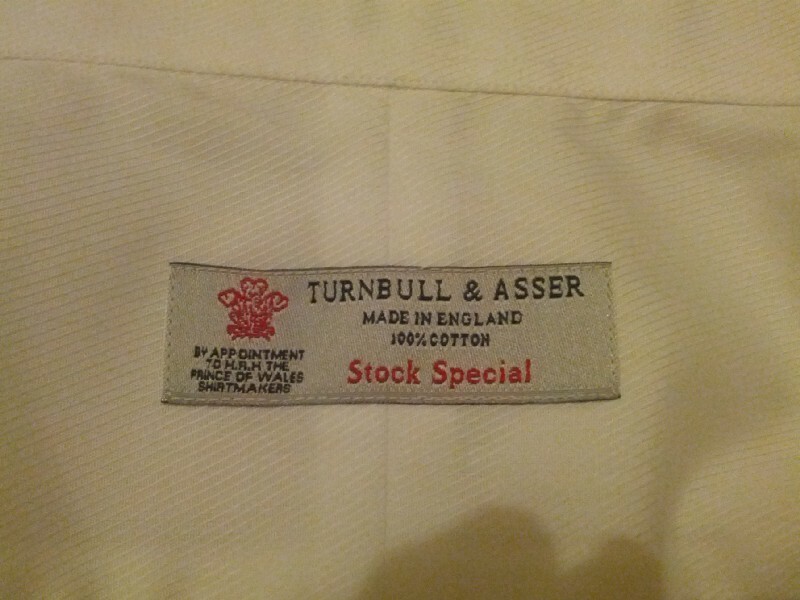 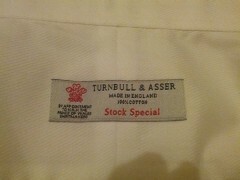 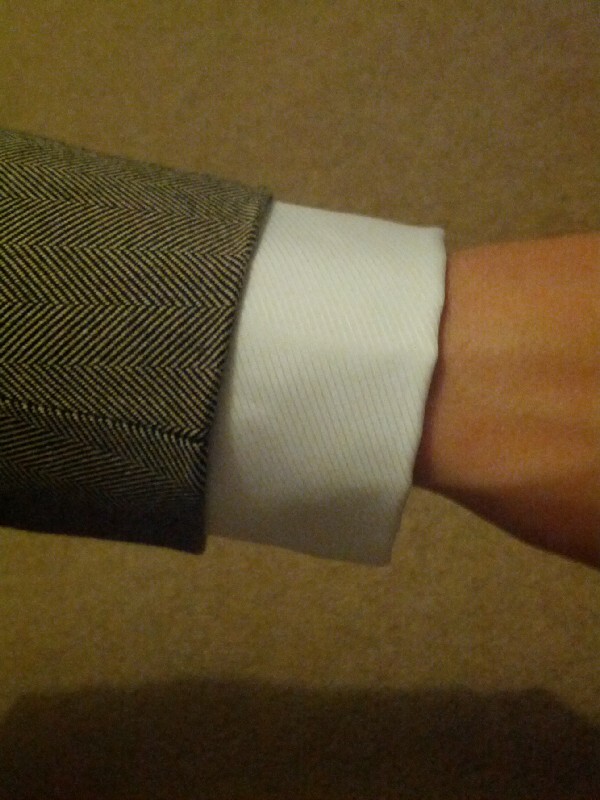 I'd picked up one of the two Turnbull and Asser Shirts I'd had made yesterday, and tried it on this evening. 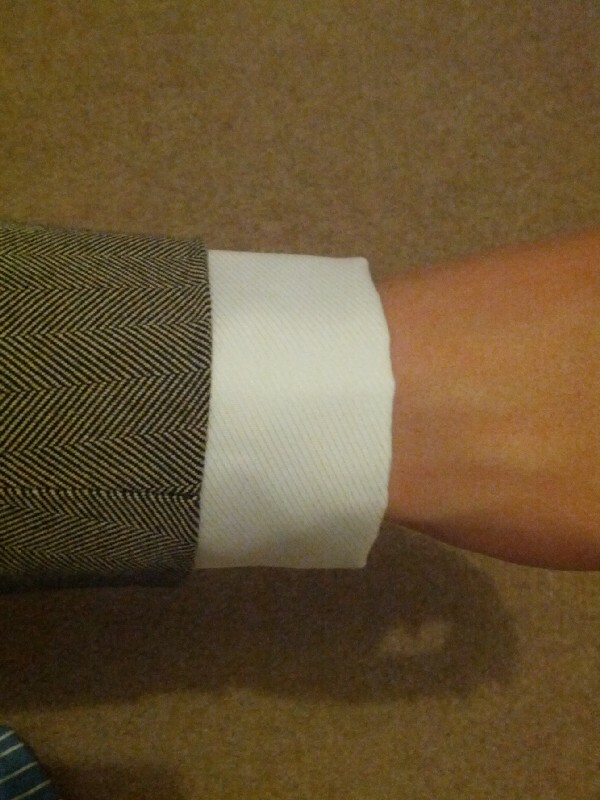 Pleasing combination of herringbone and the twill weave of the shirt. 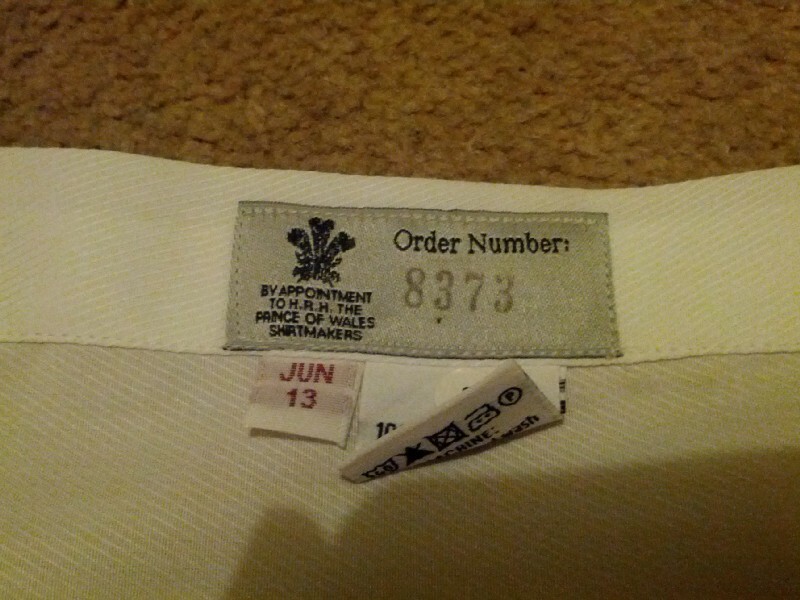 The label with the order number on it.